By God's Southern Grace: Sad to see it go! This morning I logged onto my Facebook account as usual doing the typical morning routine only to discover some rather sad news. 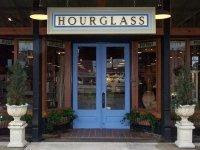 The Hourglass in my hometown is closing. I had recently discovered this shop, and I fell in love with it. It made you feel good just to walk in the store and chat with the store owners, Terrence and Becki Breckenridge. Those two people are so friendly, and you always feel so welcome in their shop. Not only is it how comfortable you feel in the store, but the history of the store is unbelievable and is clearly reflected in the floors, old elevator, and stairs, not mention the rolling ladder alongside the walls. I had actually planned on doing a post on this shop sometime soon to encourage people to go in and see what could be found. I'm almost positive that each person who walked in there would at least find one thing that they loved and couldn't resist going back for more. Since I'm at work and can't walk across to the store right now to take pictures, I am using pictures they have posted on their Facebook Fan Site. I'm sure they won't mind me doing so. 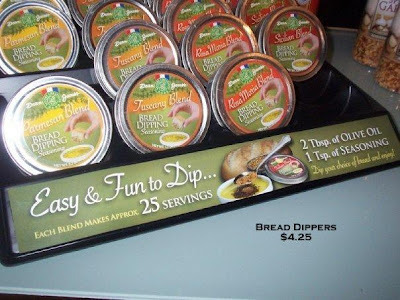 These bread dippers are amazing! I'm hoping they still have some, so I can stock up on it. I have tried the Parmesan and Tuscany blend, both of which are quite tasty. I put it on bread every chance I get. These are the adorable shirts that they had made up. 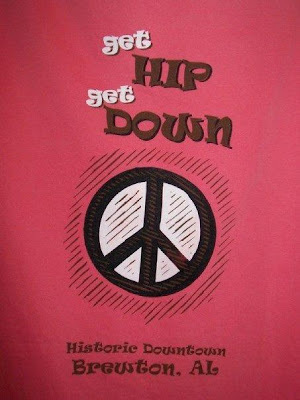 I love t-shirts! These are so cute, too! As you can see, they have them in many different colors and sizes, as well. These pictures are only a few of the things that they have in this huge store. 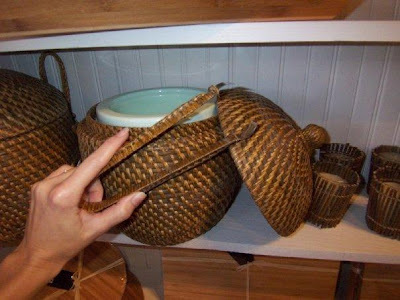 They also have beautiful furniture, home accessories, and especially entertaining accessories. I've also gotten two purses and a wallet, as well as some jewelry from them as well. 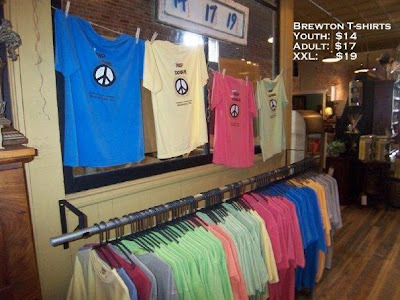 If you aren't from Brewton and may be coming this direction, please stop in and see what they have. If you are from Brewton, make an effort to go in and see them as well. They will begin their liquidation sales on November 12th. From now until Christmas, they will only be open on Thursdays, Fridays, and Saturdays. If you are interested in the sales they will be having, please become a fan of them on Facebook to check them out. NOOOOOOO!!!!! It's my favorite store!!! Why are they closing? Are they just planning to live in the builing now and not have a store? I wish I was down there to go to their sale. My heart aches. :( Good bye Hourglass. I'll miss you!